Windowell Expressions helps gives you the options you’re searching for so you can customize your home’s window well expressions! Whether your style is a tan, stacked Italian Slate or Greystone Granite, we can find the Basement Window Well for you! Aspen Creek has a tan mortar background with a combination of rocks colored red, dark tan, light gray and browns. Really brightens up a room with all its colors. Cascade River has a light tan mortar background with a combination of rocks colored brown, light and dark tan. This has a nice very earthy feel. Gray Slate style has a combination of colors. It has light gray, dark gray and white. It is a very stylish and neutral style for any décor. Graystone Granite has a greenish grey mortar background and the rocks are black and white speckled just like real granite. This is a beautiful style that is very neutral and light. Italian Slate style has a combination of colors. It has light tan, dark tan and a hint of brown. This is a nice light color and is very understated in a window well. This blends with any style and/or décor. This style has a combination of colors. It has red, brown and tan tones to it. This style has a very modern look to it and looks beautiful in homes that have tile floors. Mediterranean River has a tan mortar background with a combination of rocks colored red, dark tan, light gray and browns. This style matches many different decors and brightens the window wells. Rustic Mountain has a light tan mortar with red and tan rocks. This style adds brightness to a room. According to our customers, this one brings in the most light and fit with almost any décor. Rustic River has a light tan mortar background with a combination of rocks colored brown, red, light and dark tan. This has the nice rich deep colors in it, which makes it very classy. Silver Quarry has a light gray mortar with a greenish gray and white rock. This style is very popular with people that want to bring in extra light yet don’t want the window wells too bold or stand out. Stacked Gray has a combination of colors. It has light gray, dark gray and medium gray that is very neutral and light. Stacked Italian style has a combination of colors. It has light tan, dark tan and a hint of brown. This is a nice light color and is very understated in a window well. This blends with any style or décor. 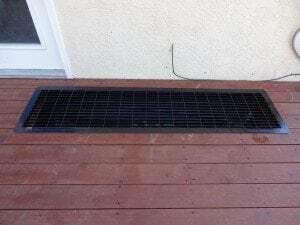 There are certain elements you should consider when looking to make this kind of Window Well Covers and Liners improvement to your home. 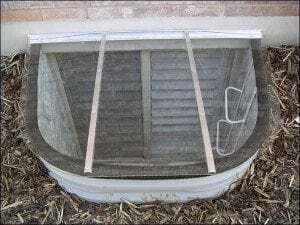 Clear Window Well Covers are fantastic for letting the sunshine in and keeping children, animals, and even the weather out. 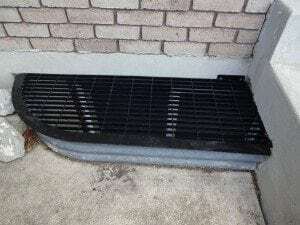 If you’re not too concerned with the weather staying out of the Well, we can supply you with a Standard or a Customer Window Well Grate. Then you should consider what you want to be looking at while in your basement. Some people prefer looking at the simple grey Window Well Liners. 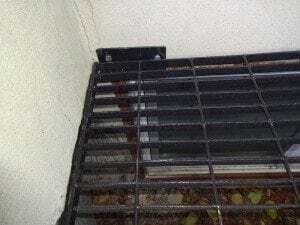 However, if you want to customize your abode to something more warm and appealing you should consider one of the above style Basement window well liners. Window Well Expressions gives you the options you need to fit your style. Having a window well liner in Salt Lake City is like having your floors finished or walls painted. It is the finishing touch that pulls the entire look of a home together. Window wells often face directly into a room that experiences high traffic, such as the kitchen. While window wells themselves serve a fantastic purpose, the unfinished “look” of this area can be boring, clash with your décor or simply appear overlooked. There are nearly limitless options when it comes to window well liners, whether homeowners want a complementary design, a pop of color or an aesthetic piece that blends in effortlessly with surrounding textures and colors. Window well liners are also simple, fast and very cost effective to replace, so homeowners can change the look at their discretion. Choose a more winter festive look for the holidays, then brighten things up with a liner swap come spring. 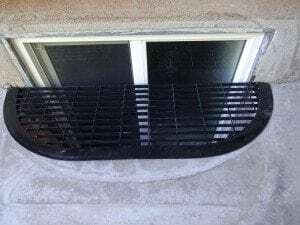 Window well liners are highly durable and built to last for years, but that doesn’t mean homeowners should feel “stuck” with a previously selected pattern or color. This is one of the simplest ways to change up the look of a home without investing much time, money or work. 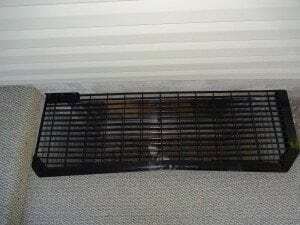 When you have a Window Well Replacement need is obviously the best time to upgrade to something a little more stylish. Your style is important. 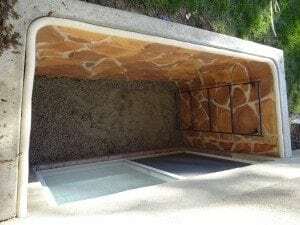 Maybe you want to brighten the man cave or the craft room, either way Window Well Expressions with give you the Window Well installation of your choosing, and we can generally install in about an hour per well! Now if you’re going through the process of upgrading the value of your home with the Window wells, it’s a perfect opportunity to add a matching Foundation Liner. The gives your home a nice rounded theme and greatly increases the curb appeal and not just the view from the basement. 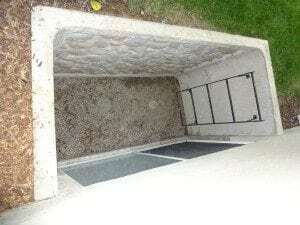 Contact us today to get a custom quote on your Window Well Prices.